Lights... Camera... TEACH! : Hello? Anyone there? Sorry that I've been MIA for these past few days. It is summer and while my heart has been wanting to write... the spirit is willing but the flesh is weak. Lol. I've been keeping busy with our garage makeover, creating a new TPT unit that will align my ELA Houghton Mifflin curriculum with the Common Core Standards and thinking maps, and going to an exciting training today and tomorrow. Today I went to a depth and complexity training at USC. This training will not only help me teach gifted students but all students as well. It's been so good but total information overload! I'm serious... at one point I thought that I saw smoke coming from my head. I'm already thinking of creating a depth and complexity unit for TPT this summer. My mind was spinning from so many ideas and my brain was exhausted by the end of the day. We go back tomorrow for one last session so I'm *hoping* to get good sleep tonight so that my mind can be clear. I say *hoping* because, well you see.... some of my colleagues and I got a hotel room because we wanted a mini getaway to beat the LA traffic in the morning. I mean, we wouldn't want to be late or anything. ;) The conference ended at 3:30pm and we checked into our hotel room and got to rest a bit. Then we went out and had dinner and a nice treat afterwards. 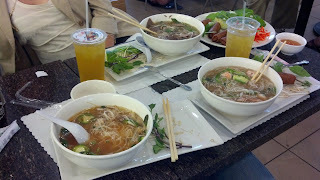 I LOVE Pho!! 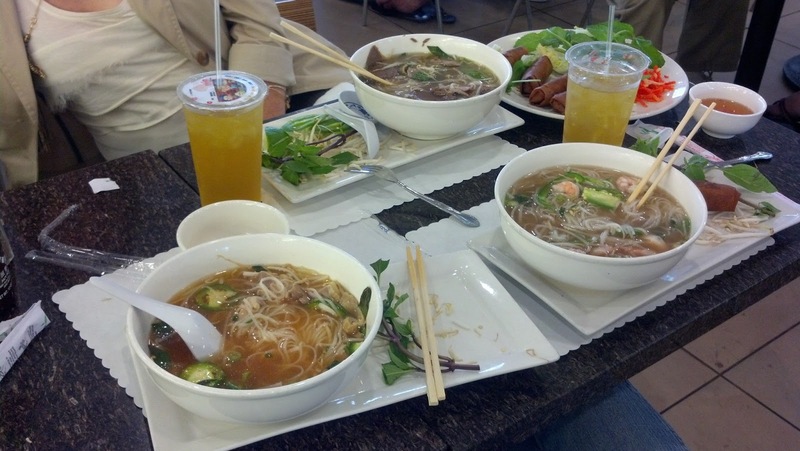 Pho is a Vietnamese noodle soup with bean sprouts and basil. I love noodle soups! Our hubbys don't really like it so we took this opportunity to go out and get our fix. 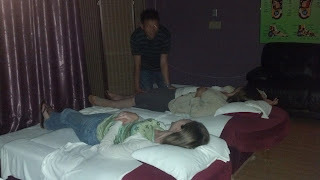 Next, we went to get cheap massages. 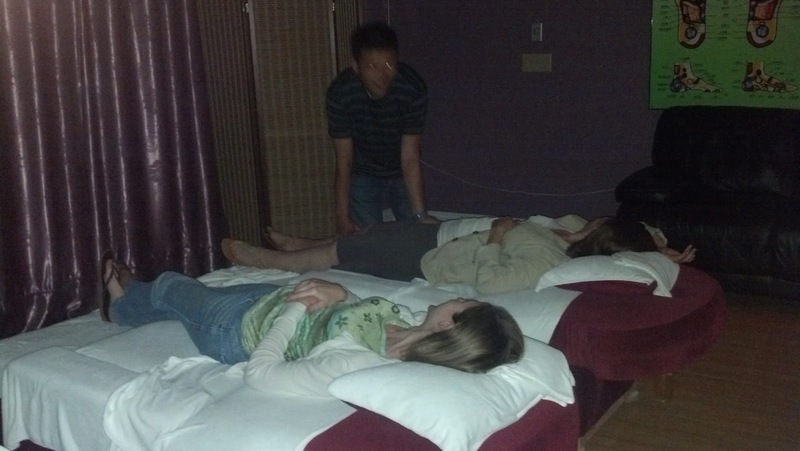 Around here, you can go to these little Asian places and get massages for $15-$20 an hour!!! I feel asleep and woke up to a little Chinese lady shaking me. Hee Hee. Alrighty, I better jump into the shower and get some rest so that I am ready to take in more information tomorrow. Thank you Brandee! Yes, busy busy!! Is school out for you, yet?